Love Death & Robots is the new David Fincher and Tim Miller animated anthology series dropped on Netflix this week and I’ve been watching all of them over the past few hours. Today, I’m going to rank the episodes from worst to best. Note that these episodes are all stand alone stories and you can watch them in whatever order you want. Overall, I had a good time with Fincher’s new show. My favourite aspect was how drastically different the tones and genres were for each episode. They went from one extremely dark and gritty episode to a more light hearted and action packed one. Each and every episode also had a distinct animation style and 99% of the time it was great. A couple episodes missed but we’ll get into that. Without further ado, let’s start the ranking. 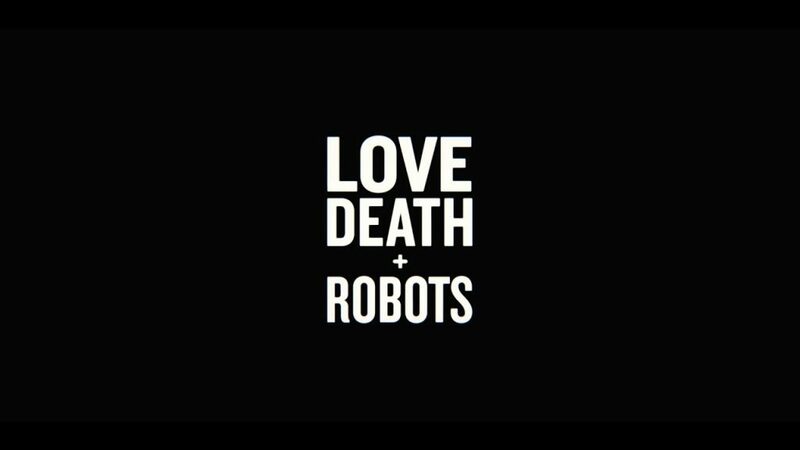 Definitely an interesting concept but ultimately, this is one of the weaker entries of Love Death & Robots. A lot of the animation and shot composition is not as outstanding as some of the other episodes and the score can at times feel distracting. It’s also had poor writing and underdeveloped characters who didn’t really have a personality. I’d recommend skipping this one. Out of all the Love Death & Robots episodes this one feels a little out of place. It also lacks any real sense of purpose throughout its eight minute run time and I’m not exactly sure what they were going for. To add on to that, Topher Grace and Mary Elizabeth Winstead didn’t have exceptional chemistry and that made it even harder to care about the events of the episode. Despite having some incredible animation that at certain points looked very real, this was a badly made episode in my opinion. Honestly, it felt extremely dull and the story managed to somehow lose me within 15 minutes. Some of the writing for it is horrible and this is definitely one of the worst episodes in my opinion. I get the message they were trying to tell with this one but it fell completely flat. Probably because the dialogue was very poorly written. Similar to pretty much every episode though, the animation style was fantastic and after one moment, it was some of the best this series offered. That moment combined with the score they had could’ve made something very powerful if the writing was better. This is one of the only Love Death & Robots episodes where the story is better than the animation. Unfortunately, the story is not as great as it possibly could have been. Some good voice acting but overall, a pretty forgettable episode. I know everyone else loves this episode but sadly, it didn’t work as well for me. This episode had stunning animation and a lot of the shots looked jaw dropping. Furthermore, the world they were building was fascinating and I would have loved to see more of it. A lot of the score and action sequences are cool but I do feel like there was too much slow motion. Another issue I had with the episode is the dialogue. A lot of it felt unnatural and one of the exposition moments at the start felt really forced. The twist also fell flat to me and I feel like the showrunners thought it was a lot scarier than it was. Solid score and animation. But like some other episodes, the story was lacking in some areas and I never truly felt the tension that I was supposed to feel throughout the episode. It’s decent but one of the more mediocre episodes the show has to offer. Like several other episodes on this list, this is a very action centric episode that has a very fast pace. For the most part, I thoroughly enjoyed it but the final few moments undermined what could’ve been a great and emotional ending. It made the story feel pointless in a way and took away the stakes. Had a great opening and I loved some of the interactions between the main character and his friend. It’s a shame the animation was hit and miss the entire episode. Sometimes it looked photorealistic and other times it looked extremely cheap. The writing was a strong point for the most part and I believe that the ending was very powerful. Lucky 13 had some of the best character work in the series. I was completely sold on the protagonist and their connection with the Lucky 13 ship. I feel like I’ve said this for every episode but the animation is outstanding. The final few minutes for this one also had some pretty great emotional beats like Shape-Shifters. Seeing farmers fight big bugs is something I never thought I would find cool. This episode is basically an extended action set piece and I enjoyed the hell out of it. Similar to a bunch of other episodes, I’d love to see a mini-series based in the world they created in this episode. To add on to that, the characters were the most developed in the entire series. That’s why it had the most emotional moments in the entirety of Love Death & Robots. One of the better stories that Love Death & Robots had to offer. Yet again, the animation is stellar and the action sequences are phenomenal. I had an absolute blast with this one. However, I wish it was a lot longer. The montage at the end was not as good as the first 10-13 minutes and by having an extended episode, the show could have had its best set piece. Zima Blue is one of the best character studies in the show. I don’t want to give anything away but it explored a lot of interesting themes related to sacrifice and it felt like one of the most complete stories. Make sure to check this one out. One of the more entertaining episodes the show had to offer. Looks at 6 different ways Hitler could have died in 1908. At first, I was a little disappointed with the lack of silliness the story had but at a certain point, it gets absolutely ridiculous and I found myself laughing pretty hard. THREE ROBOTS is a pretty great episode of Love Death & Robots. It has great characters and all of the interactions are extremely entertaining and hilarious. Moreover, it explores some pretty interesting themes throughout the story. Like most episodes in the series, the animation is also very impressive. Also cats. March has been a good month for cats with this and Goose from Captain Marvel. Apart from the occasional frustrating plot convenience, Sucker of Souls is an extremely tense and entertaining episode. Like Suits, it is packed with entertaining action sequences. The one liners reminded me of Predator (1987) and if you’re a fan of that movie, I have a feeling you’ll love this episode. Throughout the episode they play this fantastic score and I loved it. The story is one of the most wacky and unique narratives I’ve ever heard and the narration technique was executed perfectly. Even if you’re on the fence about the show as a whole I would highly encourage at least watching this episode. It’s only five minutes and you can definitely fit it into your day. At the end of the show, this was the most memorable episode and is definitely the best one. Having a different opinion and not liking an episode you like doesn’t make me a child. And for a show like this the animation is important to me. Most other episodes have a unique style so Good Hunting was disappointing to me. The story didn’t work for me either and I definitely didn’t feel the emotions you felt. woah! seen a few episodes and have totally contrasting opinions on the episodes. Yeah I’m one of the 3 people who’ve seen the show and think Sonnie’s Edge and Beyond the Aquila Rift are in the bottom half and not the top haha. Other than Sonnies Edge, I tend to agree with you here! I was struck most of all by Zima Blue though, perhaps something personal. Yogurt was delightful to watch and earns its spot in the top of this list for sure! Aquila Rift, Good Hunting, and Fish Night had a lot of potential but were mostly half-baked and not nearly as entertaining and well done as the rest. I do appreciate this list more than others that I’ve looked at, it helped me appreciate some of these shorts in a new way!